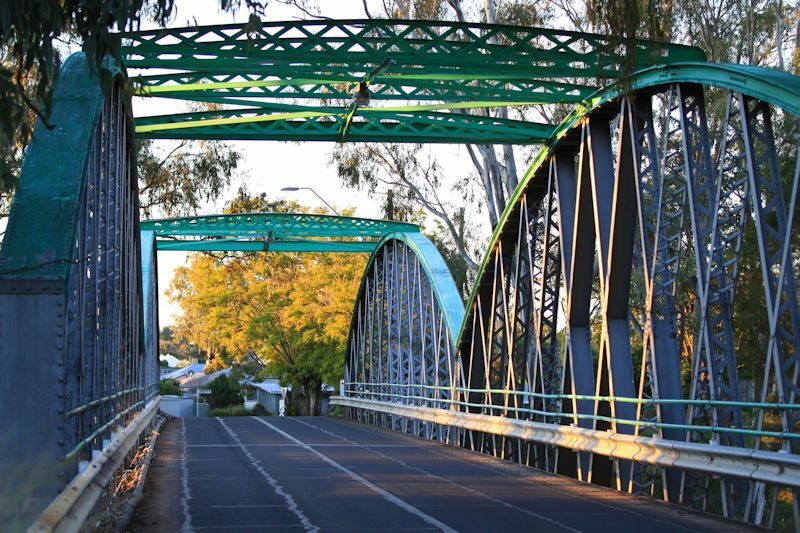 Take a look at the historic Border Bridge (MacIntyre Bridge) which was built in 1914 and is a landmark of Goondiwindi. The first bridge was wooden and was constructed between 1879 and 1880, and survived the 1890 flood. Before the first bridge, goods had to cross on a punt pulled by rope. The current Border (MacIntyre Bridge), built by the Queensland and New South Wales Governments, took 16 months to build during 1914-1915. The bridge consists of two steel spans with hog backed lattice girders of 120ft. each. The bridge was one of the main crossing places for stock, wool and general loading between Queensland and New South Wales. It was replaced as the main access to New South Wales when a new concrete bridge was built upstream in 1992. 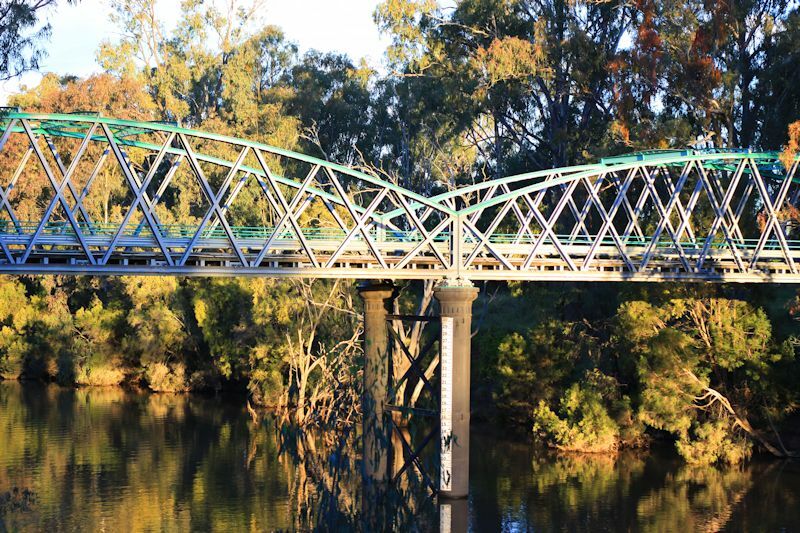 The Border Bridge spans the MacIntyre River and was the main hub for freight crossing the border between New South Wales and Queensland where duties were collected by Customs.